Lungotevere Castello is the stretch of Lungotevere that links Piazza di Ponte Sant'Angelo to Piazza dei Tribunali, in Rome (Italy), in the rioni Borgo and Prati. The Lungotevere takes its name from the Mausoleum of Hadrian, better known as Castel Sant'Angelo, erected by Emperor Hadrian in 135. In the area formerly rose several churches, then demolished or no more existing: among them, the Chiesa di Sant'Antonio della Mole Adriana, the Chiesa di Sant'Angelo de Castro Sancti Angeli, the Cappella del Santo Rosario and the Chiesa of San Tommaso de Castro Sancti Angeli. In the environs of the castle there was an estate, called Arenaccio (Italian for Bad Strand) due to the vicinity to the strand of river Tiber: employed for military and circus performances. Here's the our members favorite photos of "Famous Streets in Rome". 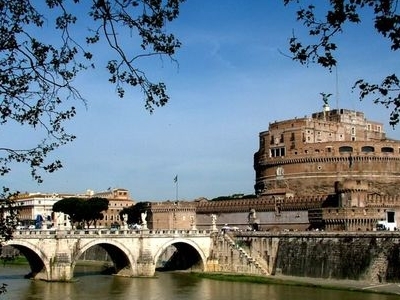 Upload your photo of Lungotevere Castello!